It always takes at least a couple of hearings before the individual tracks of a new album start to seep into my brain. So I was surprised when after just a few minutes of only half-listening to Heat I thought, “Hmm, I like that,” and started singing along. Clearly the seeping had already taken place. Turns out that the extremely talented singer/songwriter known as Little Roy had revisited a bunch of his earlier work, songs from over the years that he felt deserved greater exposure. It’s sort of a compilation of his “should also have been greatest hits”, as distinct from his actual greatest hits (“Bongo Nyah,” “Prophecy,” “Tribal War,” etc.) Thus we have new versions of “Heat” and “Membership Card” from his Children of the Most High CD, “Jah Can Count On I” from his classic Tafari Earth Uprising, and a well-chosen variety of others. The liner notes’ claim that these are now the “definitive versions” is of course arguable, despite the formidable musical talent on these new versions; I suspect I’ll always prefer the one that got into my brain first, and besides, in a 2006 review I wrote about “Membership Card” that “the vocal arrangement is perfect.” So there. Definitive possibly, but powerful definitely. What Little Roy has given us here is a solid collection of melodic roots reggae tunes, tested by time but not yet over-exposed. (“Mama” is coming close to over-exposure, but only because I keep replaying it; it’s gorgeous.) As for the lyrics, certainly their peace, love and understanding themes can be considered “timeless” (as the liner notes indicate), but the overall mode of expression sits predictably within the 1970s framework of Rasta teachings. 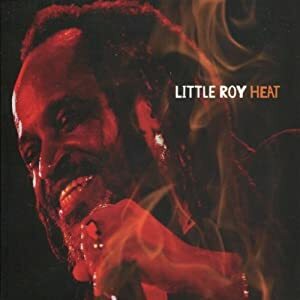 I said in my earlier review that I would await Little Roy’s next album with patience because I knew that “…roots reggae of the highest quality, painstakingly and lovingly created, will be my certain reward.” Sure enough, it’s come. I just didn’t realize that it would so enjoyably revisit such worthy older songs.